I found this post interesting. It made me consider how technology has changed throughout my years. I was born in the time before Australia had television. It was to come along in 1956 because Australia was hosting the 1956 Olympics in Melbourne. My family was able to have one of the first TV sets in out area, not because we were wealthy and could afford the cost of six months of the average wage. My grandfather owned the local electrical store and set it up as an in house demo. Each day people from the neighbourhood would fill the room to stare at the box. It was a time when phones in our area only had six digits, ours starting with UY rather than numbers. Neighbours would call in to make a phone call or we would take messages. We weren’t out in the countryside. This was suburban Sydney in the 50s. It was the late 50s Australia had its first supermarket. I was in school in the 60s and, in 1963, was made class ink well monitor. My job was to check ink was in desk inkwells so pens could be dipped. It was late that year we were first able to use ballpoint pens in class and I lost my job. In the early 60s our first shopping centre (mall) was built. I was 10 and found the place pure magic. It was 1971 when I saw my first computer when visiting the Atomic Energy Commission centre at Lucas Heights as part of a school visit. It was large and required punch cards to operate. I first used and programmed one when at university in 1975 but home computers were a long way off. It didn’t have a screen, hard drive or even disks. It had a telex printer and stored programs on cardboard tape. It was in the 70s I started teaching. Many teachers in schools I visited considered me a techie. My multimedia lessons were well known. I used the latest gear, an overhead projector, 8mm movie projector and a cassette player. 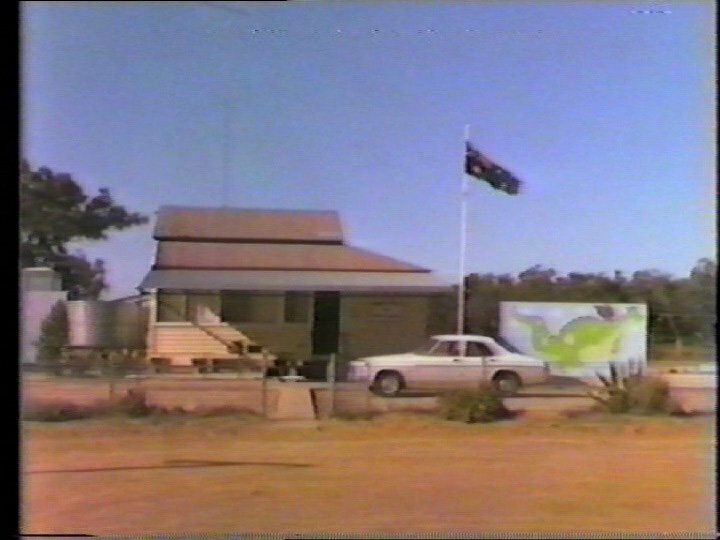 It was 1981 before I gained a permanent teaching position in a small, isolated one-teacher country school in western New South Wales. Our phone was a party line. You would pick it up. If someone was on your would replace the hand set and wait. If not used, you’d replace the handset, wind the handle, pick up the handset and ask for a number from the operator. Television was one channel affair if the weather conditions were okay but we did have a Umatic 1” video tape machine to play tapes I could arrange to borrow. Of course I still had my 8mm projector. It was the 80s tech took off. In 1981 I used my first computer with students. Because of limited software, I had written some of my own programs. The first VHS and Beta home video recorders appeared and I bought one. Movies cost $80 but only from a few outlets in my state. A rental could cost $10 to $20. In 1982 I bought my first personal VHS video camera with its large side pack and lead batteries. People, on seeing me with the camera, would think I was from a television station. My first school video was shot in that year and still exists in my collection now transferred to DVD. Thirty years of filming in schools is stored in my media library. In 1983 I returned to Sydney and introduced computers to another school and then a third school in the mid 80s. The 80s saw me send my first emails using an Apple IIc, 300 baud modem and a phone extension cord. I also bought my first mobile phone with its large lead battery. It was more the size of a handbag than mobile phone. The 90s saw me introduce the internet, websites, digital photography, desktop publishing, digital video, digital audio to my lessons and to teachers. I even served as President of an educational computer group dealing with 150 schools so I could share my skills. My computer ownership reached its peak at 45 machines. Many would be lent out to students for home usage. The school computer lab had 16 computers, only one belonging to the school. I installed the first network in the computer lab and, once expanded across the school, managed sharing between classes and with teachers. I left this school in 2000 with a school wide network and lab with teachers using them as part of their lessons and to create presentations. It wasn’t until 2000 I arrived at a school where computers were already in use and network with the internet was already installed. I was finally able to sit back and let others run the school while I could concentrate on developing presentations for classes, spend greater time developing their skills and promote new uses. The 00s was the decade I retired from full time teaching because of health issues but my technology journey didn’t stop. These days I comment on student blogs around the world, operate my own blogs, a You Tube channel, and make DVDs and CDs for community groups and schools. I was an analog and now am a digital native. Even retired, I seek ways to incorporate technology to enhance presentations and now share with the world. My outlook and use of technology hasn’t change. It’s only the technology that’s changed and allowed me even greater capabilities. I say bring it on and let’s see how it can adapt to me. This is an image taken from my first video made with my own VHS camera in 1982. The school was 100km (60 miles) from the nearest town. I lived next door to the school on a sheep station, a short 20km (12 miles) drive. Posted in Australia, History, Technology on October 2, 2012 by rossmannell.